Skopje is the capital of the Republic of Macedonia with a population of 506,926 inhabitants on an area of 1,818 km2. As the largest city in the Republic of Macedonia, it represents a political administrative, economic, cultural, educational and research center. Skopje’s vision is being a developed cultural, historical, conference, and sporting-recreational tourist center, inhabited by people of high ecological awareness. 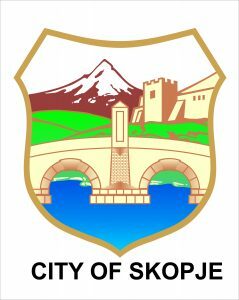 Municipality City of Skopje is consisting of 16 Departments with more than 400 employees between which are Spatial planning and Organization Department, Department for Public affairs - Culture Unit, Local Economic Development Department and Information Technology and Modernization Department. This Departments are responsible for spatial planning, organizing cultural events, encouraging various specific forms of creativity, prepares decision for erecting, maintaining, protection, use and management of the monuments register, development of tourism, local economy development and GIS.